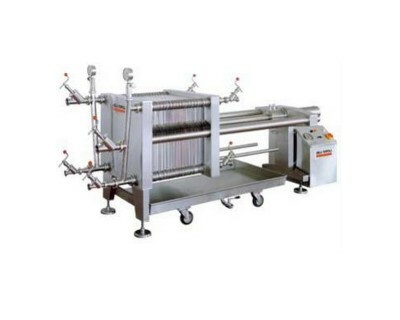 Machines for filtering sugar solutions containing solids in suspension, and using bleaching agents such as powdered carbon (in concentrations up to 65°Brix and at temperatures up to 85°C), or for fine filtering or for safety purposes prior to bottling. These filters come in two different structural versions, one for filtering with sheets alone, the other comprising plates and frames for filtering with the aid of kieselgur. 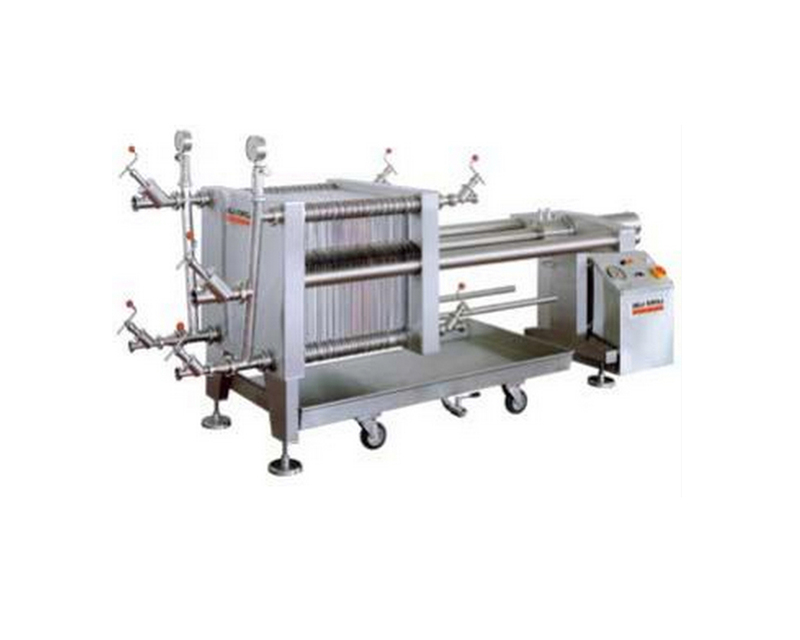 VERSION with PLATES AND FRAMES FOR FILTERING WITH KIESELGUR, with filtering areas up to 38 m² and complete with a dosing unit for preparing the kieselgur.